Not long after beginning in the hobby, I took a determined path toward keeping and breeding cichlids. My interests originally focused on colorful dwarf species of Central and South America. Very quickly I was starving for knowledge, having already consumed nearly every monograph and magazine article I could get my hands on. It was then I began reaching out to the experts. One of my very first contacts was a kind gentleman by the name of Don Zilliox, otherwise known as Z-Man in the aquarium hobby. I can’t count the number of times I e-mailed him with questions. He responded to every e-mail and was quite patient with me. A quick Google search for Don will yield a plethora of links to all kinds of information about cichlids. 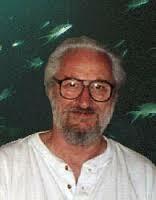 He has written numerous articles covering a variety of dwarf species, including Ctenopoma ansorgii and Crenicichla regani. He’s also written a great piece about keeping and breeding Apistogramma in general. Through decades in the hobby, he has bred more than 100 species. Suffice it to say, he has forgotten more about fish keeping than I’ll probably ever know. I recently got in touch with Don, who has mostly retired from fish keeping. He was gracious enough to answer a few questions for the blog. The Cichlid Stage: Why don’t we start with you telling the readers a little about yourself and how you got started in the hobby? I got started in the hobby because my daughter went on her honeymoon. She brought over her 20-long tank because she figured it would be easier for me to take care of at home. After a few days, I figured she needed more fish so out I went and got what I liked. When her and her new husband returned, she came to see her fish and told me to keep the entire setup because they weren’t her fish anymore. Soon, one of the livebearers I purchased had babies, so I went out and got another tank! Then I went to a local fish auction and got more fish but needed another tank. It didn’t stop until I ended up with 80 tanks in an insulated room in the basement. TCS: Cichlids are probably as popular now as they’ve ever been in the hobby. What would you attribute that to? TCS: You’ve raised and bred so many different cichlid species, what would be your favorite(s) and why? TCS: As an expert keeper of various Apistogramma, what one piece of advice would you give beginning aquarists who want to set up a South American biotope tank with one or more species of the genus? In all the years I had Apistogramma, I never maintained more then one species in a tank. To me that would be a no-no. A South American biotype can be fine, but you must remember the Apistos will reside in the bottom half so a dwarf gourami group would work fine at the surface and most Corydoras will share the bottom with the Apistos. If you need more than one Apisto species, lots of plants and especially java moss are a must. You should also invest in some sort of Reverse Osmosis (RO) unit to soften the water up a bit just to maintain a happy home for your fish. For breeding, RO water is necessary. TCS: What species did you find to be the most difficult to keep/breed and why? Acarichthys heckelii was the most beautiful cichlid I ever had. He was almost 9” and had extremely long threads coming from his dorsal. He won Best of Show two years running at a local show. But I never was able to breed them. They were housed in a 55 gallon tank all by themselves but never one fry. I had previously bred Acarichthys geayi (now in the Guianacara species) so I figured I was half way there. For four years I tried to no avail. I guess that’s the one that got away. Actually, I have a signed 22”x34” Acarichthys heckeliiposter from Heiko Bleher that is hanging on my wall, so that beauty is still with me. TCS: What do you think are the biggest mistakes cichlid keepers make or the biggest misconceptions they have when trying to breed dwarf species? Just because your South American dwarf cichlids look happy and content, don’t think that they will breed and have viable fry in hard water. They will breed, but the eggs probably won’t hatch. Their shells need soft water to allow the fry to break free. Also, I have had the most success breeding Apistogrammas by feeding copious amounts of live baby brine shrimp. You will know you are feeding them correctly when the eggs are a deep red color. At your local fish and plant auction, pick up lots of Java moss and stuff it in your breeding tank for the fry to feed on. TCS: If money and space were no object and you only had one tank, what would be your ideal set-up and why? The favorite tank I ever maintained was a flat back hex, 32 gallon. If I had the room, I would go about twice that size and purchase about a dozen or so Angelfish. Better yet, I’d get a good looking pair and breed them in another tank. I would put a suitable number of fry in the hex and just watch them grow. A group of Corydoras for the bottom and something small and colorful like Cardinal tetras to swim with the Angelfish. The problem with any community tank is you have to keep replacing the largest fish or end up with two or three pair. I prefer to watch a group of twelve or so just swimming around the tank. Keep it simple with lots of background plants. Just sit back and relax. TCS: Now that you’ve scaled back your participation in the hobby, what do you miss the most?